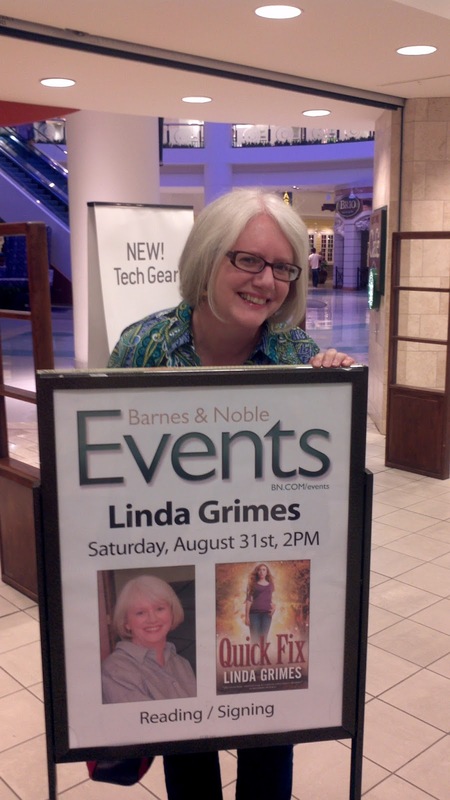 Linda Grimes: Visiting Reality : Well, shut my mouth! 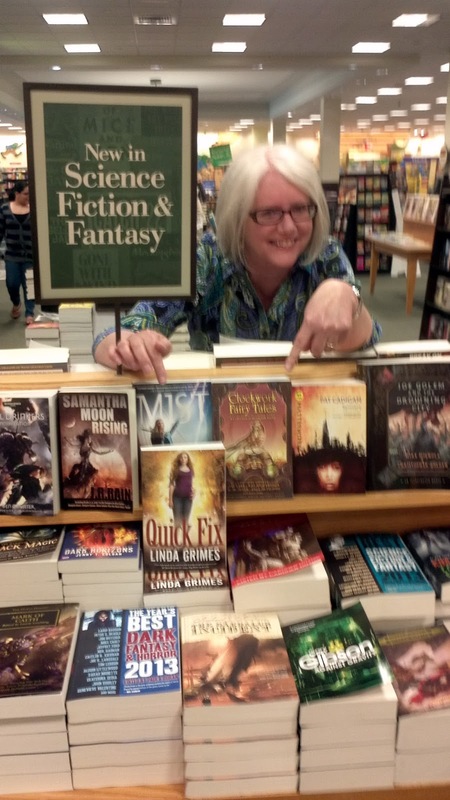 When I get a book published I'll wallpaper my room with photos of me holding it at the bookstore. Have fun at your reading! Yeah you did fit the camel in. Good luck with your events. I wish I could be there! Congrats again and best of luck with your launch! Yay! Congrats on your second book release! Gosh, where has the time gone? You can talk about Quick Fix all you like. If I had 2 books published and 2 more on the way I wouldn't stop talking about it either. 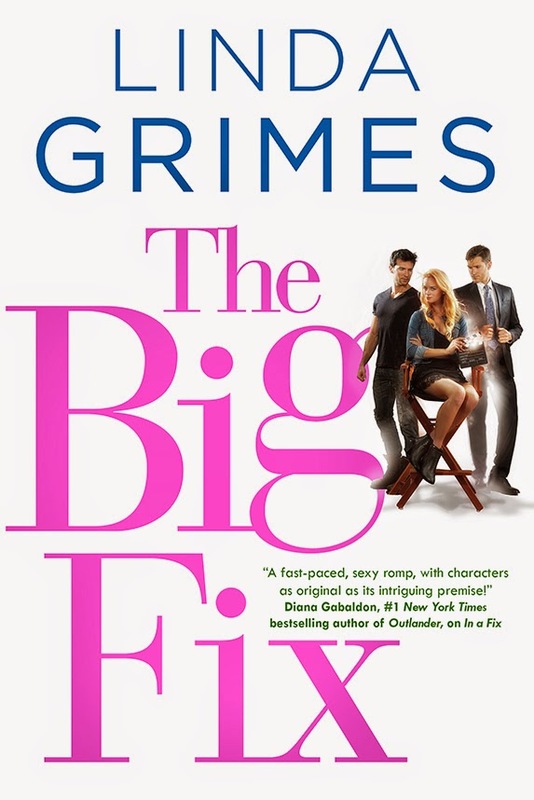 I just finished Quick Fix, loved it!, and am overjoyed to find out there will be more Ciel. I also cannot wait for book 3. SO exciting to have a sequel come out! EQUALLY exciting to sit at a table for a signing with MORE THAN ONE book to your name. Because one book could be a fluke, right? Two books -- and knowing it will soon be three and more -- that makes it truly real! Om - gah! 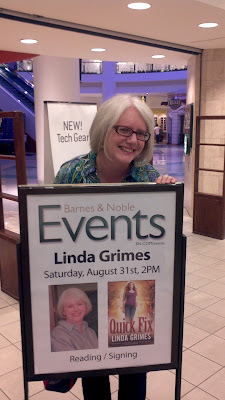 I love love love the pic of you by the Barnes and Noble sign. AWESOME! You are livin' the dream, lady, livin' the dream!! 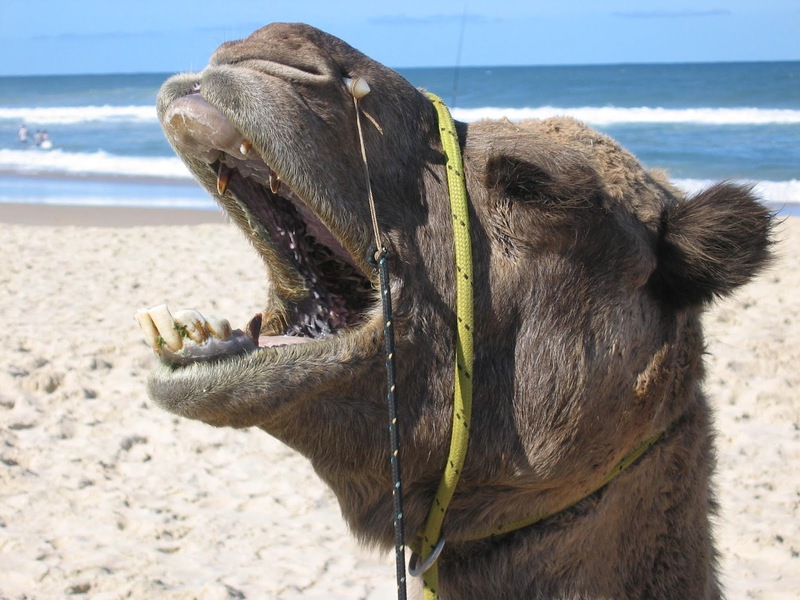 wouldn't be the same without a camel! Love all the pics. 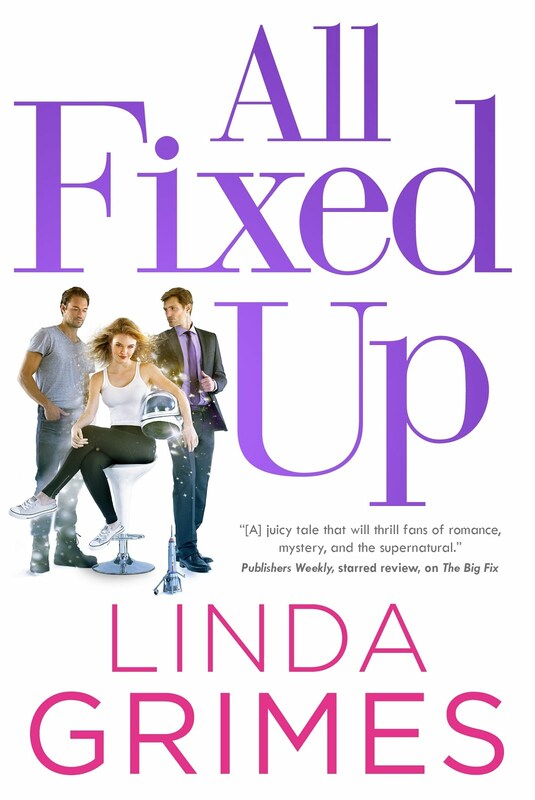 Grabbing my copy of QUICK FIX Now!!! !